Throughout history strides have made in every field of thinking by individuals who are not only brave enough to question historical boundaries and are willing to challenge the status quo, but then go on to create new realities by crossing the borders into unchartered territories. The world of music is no different. Classical composers throughout musical history have turned for inspiration to many sources: the compositions of others, the world of folk music or a completely different genre of music such as jazz. The end result is often a total transformation. However, our programme opens with an original work but with an interesting story. 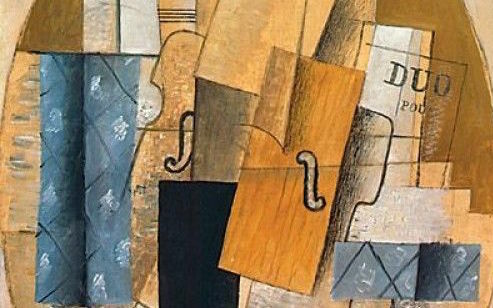 Schubert’s ‘Arpeggione Sonata” was composed originally for the ‘Arpeggione’, an odd hybrid instrument, strung and fretted like a guitar, but bowed like a cello. Its heyday was in the 1820s in Vienna and by the time Schubert’s sonata was published in the 1870s, the Arpeggione instrument had all but disappeared. Luckily this gem of a sonata continues to live on having been adopted by several instruments, including the violin. In a not too dissimilar fashion, composers of all genres of music have fallen under the spell of the 24th Caprice for solo violin, composed by virtuoso violinist Niccolo Paganini in 1817. Brahms, Liszt and Rachmaninov are some of the giants of the piano world who have succumbed to its charms. In addition, there are arrangements for balalaika, marimba, brass and wind bands, and the composition has even found its way into jazz, rock and heavy metal. In this programme we will hear the interpretation of this famous melody by Polish composer, Karol Szymanowski. The violin part remains, mainly, true to the original but being a pianist himself, Szymanowski added an accompaniment that is equally challenging for the pianist and creates a wonderfully inventive and idiosyncratic composition. Crossing the boundaries between classical and other idioms, English composer William Walton drew inspiration for his two short violin pieces from music of a different century. In the “Canzonetta”, Walton weaves a beautiful haunting tapestry of sound around a 13th century troubadour song and the “Scherzetto” has a witty, almost jazzy quality more in keeping with his famous entertainment, “Façade”. In a similar vein, Bulgaria’s most influential composers, Pantcho Vladiguerov was one of the first to successfully combine idioms of folk music and West European classical music. The “Song” from his “Bulgarian Suite” is arranged in an expansively lush manner while still adhering to its folk roots. Both halves of this evening’s programme conclude with works drawn from the vocal world. The first half ends with Italian composer Mario Castelnuovo-Tedesco’s adaptation of the aria, “Largo al factotum” from Rossini’s opera “The Barber of Seville”. This revels in a whimsical reinvention of the original aria and, as it was composed for the great violin master, Jascha Heifetz, it is not surprising that it makes great technical demands on both violinist and pianist. The final work in the programme is a suite of three pieces from Leonard Bernstein’s famous musical “West Side Story”. Although arranged in a jazzy fashion by Brazilian composer Raimundo Penaforte, they are instantly recognisable as Maria’s witty solo, ‘I feel pretty,’ the romantic duet, ‘Somewhere’ and the catchy ensemble piece, ‘I want to be in America’.